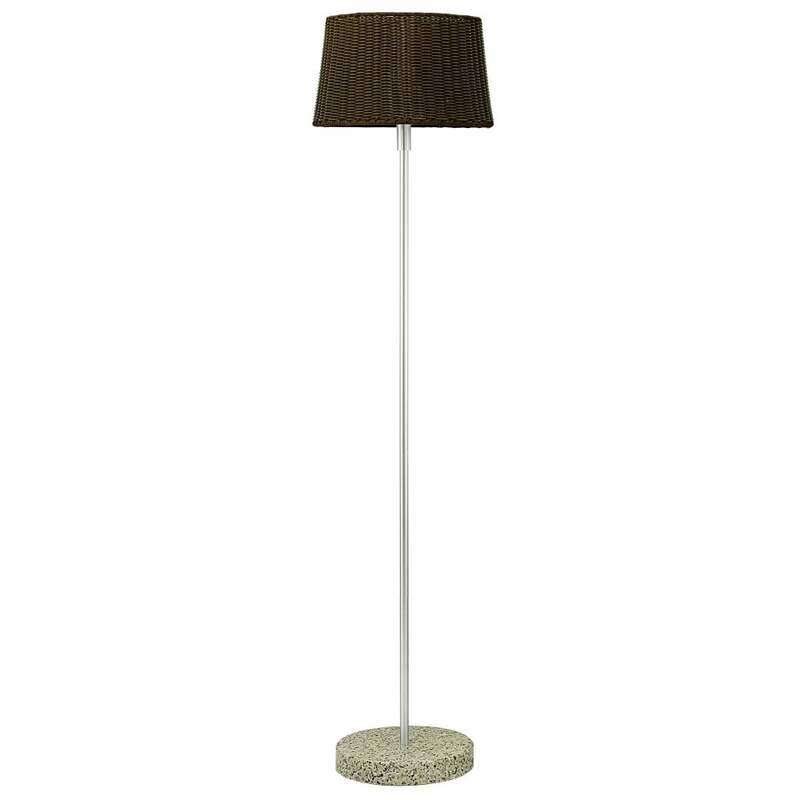 Eglo Lighting Levada single light outdoor floor lamp features a circular stone base with silver stem holding a dark brown wicker style shade and is suitable for outdoor use. The product code is 88082 . This stylish design is perfect for your outdoor living space or conservatory, the stone base makes sure its firmly grounded and its IP44 rated making it suitable for outdoor use in all weathers. Also available with a lighter brown shade which can be viewed on our website.